1. How do we get our information to you? 2. Do you transmit claims electronically? 4. Will you also be submitting claims for secondary insurance? 8. How do I know that you will be more effective than our own office staff? 9. How do I know that my patient data is secure? 10. Will I have a dedicated resource to our account? 11. How often are my claims processed? 12. Where does my money go? 13. How much experience do you have with my medical specialty? 14. What type of software do you use? 15. I’m new in my practice – How do I set my fees and will you assist in watching reimbursements? 16. Why do some billing firms only charge by the claim vs. a percentage of collected revenue? 17. What about delinquent accounts? We provide a courier service for local clients. We can have them faxed, mailed (USP “Priority Mail”) or submitted to us electronically. Yes, to those companies that have the capabilities and that are efficient with EMC (Electronic Medical Claims). We do process certain payers on paper only because it has been our experience that those are actually paid faster. Remember, most insurances require that you are credentialed with them for us to be able to submit electronically on your behalf. The average turnaround in the industry is 30-45 days for paper claims and 20 days for electronic claims. Obviously, some are more and some are less. The National average for Days In AR (for Family Practice) is 43. Secondary resubmissions are included in our service. Our average “Net” collection rate is 90% to 93% of your allowed amounts (based on payer contracted rates). One day on current accounts. If we take over your old A/R this can take up to one week depending on the size of the A/R. If you are a new practice this may take longer if you are still in the credentialing process. There are 2 options: 1.) A complete printout (or softcopy) from your existing system. 2.) Provide to us the most current patient information as you see them. This also gives you the opportunity to “start fresh” with your data and have your patients re-register. We do more than process claims. Our staff makes sure that all claims that go out are "clean" claims. (i.e. verify diagnosis codes are valid, modifiers are used when necessary, all pertinent information is included before sending.) This eliminates denials, insurance inquiries, etc. We send out claims daily and continually work outstanding A/R until the accounts are paid. We have a state of the art network in our operations center that backs up all client data several times per day with offsite storage for backups and redundancy. Yes. CVB utilizes a “team” billing approach. 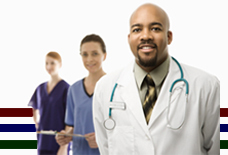 Your account will be handled by a team of employee's depending on the size of your practice. Within 24 hours of receipt we will prepare your claims for processing. Obviously, if we need to gather additional information from your practice, we will reach out to you for that information, and prepare for processing upon completion of receipt of that information. All payments come directly to your office. You then send us the EOBs along with your daily super bills / encounter forms. This way we can appropriately track and close the loop on all reimbursement activity. 90% of billing is billing, no matter what the discipline. The 10% differences tend to be discipline specific nuances. We have experience and a current client base that is made up of everything from Family Medicine and Physical Therapy, to Radiology, Radiation Therapy, Surgery & Occupational Therapy. We advise most of our clients when setting fees initially, or re-setting your fees to work from the Medicare allowed fee structure and multiply by 150% or 1.5. We will continually monitor your reimbursement rates to make sure that you are maximizing your reimbursements with correct fees, and we will provide the appropriate advice when deemed necessary. Many new billing companies will charge you a flat fee per claim because they are normally only skilled in the initial “transmission or submission” of the claim to the insurance company. Frankly, this is something you could do internally. Most tenured billing firms will charge you a percentage of what they collect. They are more compelled to work harder, follow through with secondary submissions, denials and work to get you the highest reimbursement possible – a “win-win” for both. We work closely with a local credit agency that specializes in these accounts. However, all accounts that are referred out will first be given to you for review and decision making. © 2007-2008 Central Valley Billing, LLC. All Rights Reserved. Site design by: Beyond the Box Design LLC.